Another in a series of small tables I've been doing. 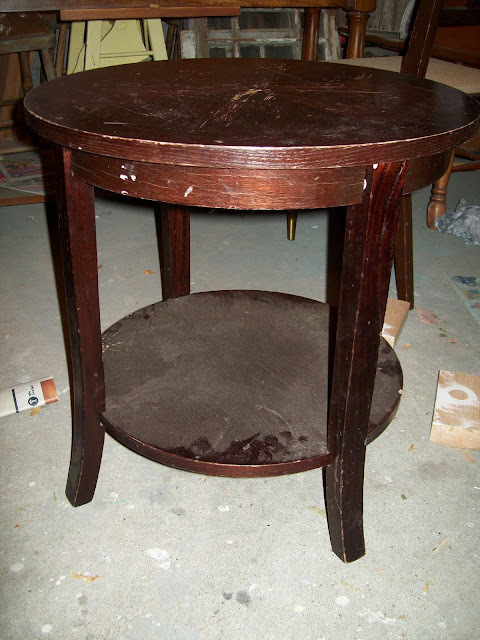 This round table was heavy and very sturdy, but totally neglected. Done up in a stone grey, and a fleur de lis...and viola! 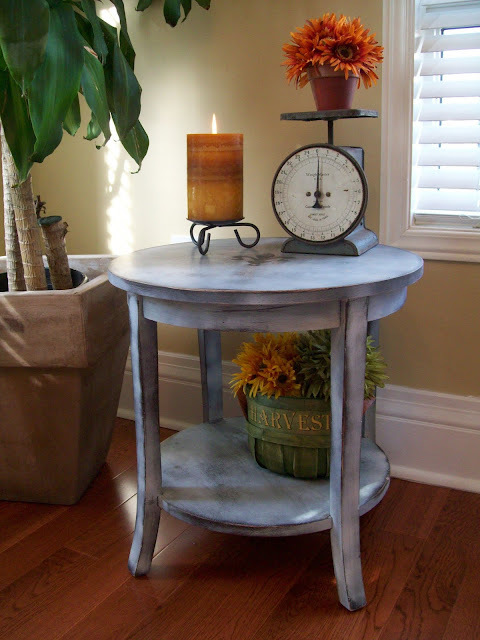 See this table featured at Miss Mustard Seeds! You are a busy girl up North! 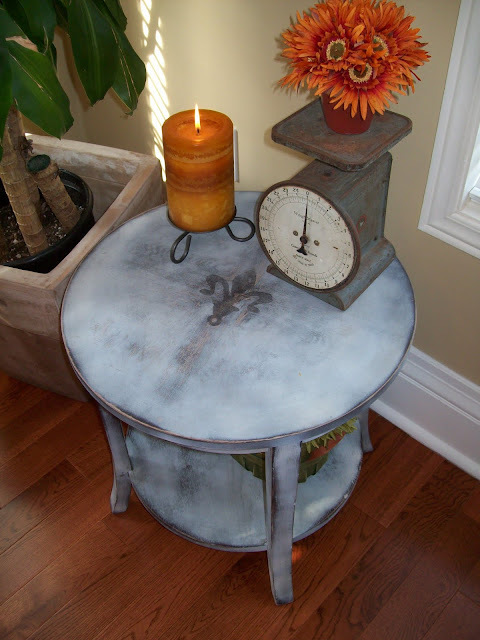 I love that gray color and it looks so good distressed. Great job! 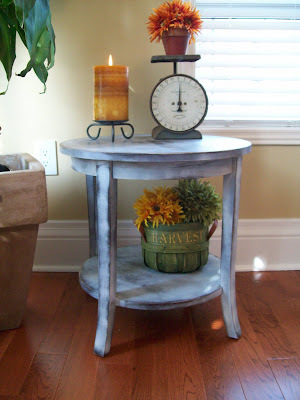 I am TOTALLY in love with this table! When I first saw it, it caught my breath because I picked up two nearly identical today and was wondering how I would finish them. Your finish is so different! I just love the contrast of the high and lowlights. Stunning outcome! 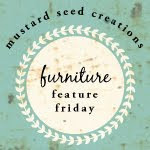 I saw you featured on Miss Mustard Seed's FFF, and I just wanted to say, great job! I even showed my hubby your work, and he was very impressed!